Alba Botanica After Sun Gel 98% Aloe Vera 8 Oz. Alba Botanica After Sun Lotion 85% Aloe Vera 8 Oz. Alba Botanica Deodorant Stick Aloe-Unscented 2 Oz. Alba Botanica Deodorant Stick Lavender 2 Oz. Alba Botanica Deodorant Stick Tea Tree 0.5 Oz. Alba Botanica Deodorant Stick Tea Tree 2 Oz. Alba Botanica Good & Clean Dual Texture Exfoliating Towelettes 30 Ct.
Alba Botanica Good & Clean Gentle Acne Wash 6 Oz. Alba Botanica Good & Clean Pore Purifying Mini Peal 4 Oz. Alba Botanica Hawaiian 3-in-1 Clean Towelette 30 Ct.
Alba Botanica Hawaiian Drink It Up Leave-In Conditioning Mist Coconut Milk 8 Oz. Alba Botanica Hawaiian Organic Massage Oil Kukui Nut 8.5 Oz. Alba Botanica Hawaiian So Smooth Anti-Frizz Serum Gardenia 2 Oz. Alba Botanica Lip Balm SPF25 0.15 Oz. Alba Botanica Very Emollient Sunscreen Kids Spray SPF40 4 Oz. Aleva Naturals Aleva Naturals Foaming Fem Wash 6.7 Oz. Aleva Naturals Baby Daily Soothing Moisturizer 8 Oz. Aleva Naturals Baby On the Spot Moisturizing Balm 0.5 Oz. Aleva Naturals Bamboo Baby Wipes Pacifier & Toy 30 Ct.
Aleva Naturals Bamboo Baby Wipes Tooth & Gum 30 Ct.
Aleva Naturals Bamboo Baby Wipes Travel Size 30 Ct.
Aleva Naturals Maternal Care Stretch Mark Cream 3.4 Oz. 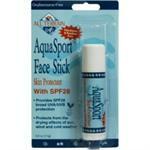 All Terrain AquaSport SPF28 Face Stick 0.6 Oz. 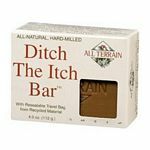 All Terrain Ditch The Itch Bar Soap 4 Oz. 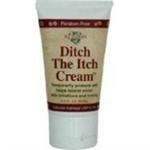 All Terrain Ditch The Itch Cream 2 Oz. 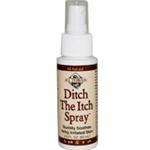 All Terrain Ditch The Itch Spray 2 Oz. All Terrain Fabric Bandages Assorted 30 Pc. All Terrain Gauze Pads 2x2 inch 10 Pc. All Terrain Herbal Armor Insect Repellent BOV Spray 3 Oz.